Oak Round Floor Rod Rack | BUDK.com - Knives & Swords At The Lowest Prices! The Oak Round Floor Rod Rack has a contemporary design that will be an addition to practically any room in your house or cabin. It features a beautiful hardwood veneer with an oak finish. 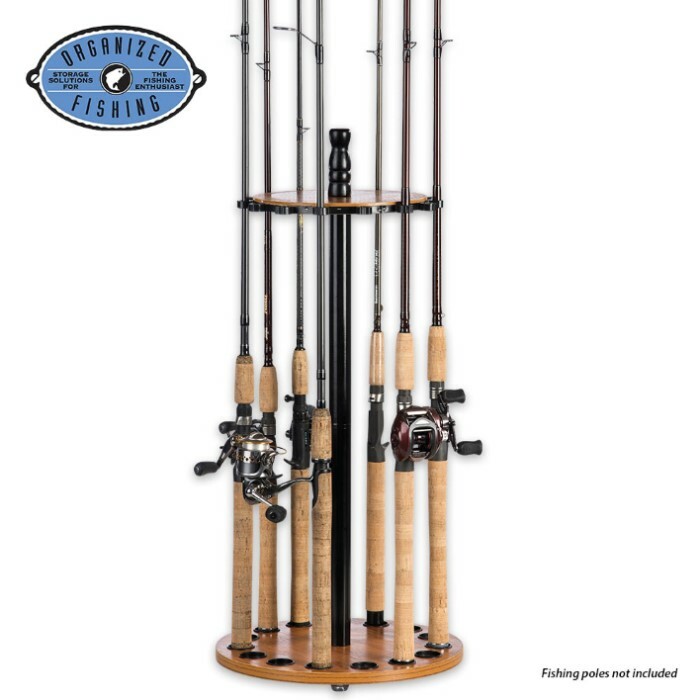 This durable floor rack will accommodate up to fifteen rod and reel combinations and rubber clips securely hold the rods in place.